In September 2018, we will celebrate our tenth year of the ESL ministry in the Rockspring neighborhood. 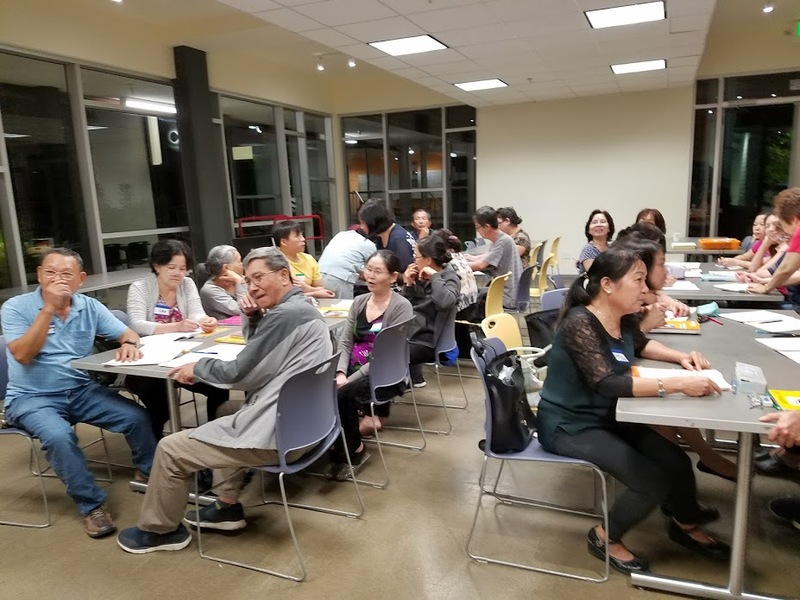 In that time, we have expanded the ministry from simply ESL classes for adults to citizenship classes and a tutoring program for elementary school age children in the neighborhood. Our presence is now well known. We are thankful for the support of our church and all who faithfully pray for our teachers and students. We are thankful for all who serve meals and enable us to focus the entire evening on the needs of our students. Lastly, we are thankful for our teachers who love our students so well. One year early on we took students out into the fields to pick free vegetables. They surprised the teachers by laying out a scrumptious lunch—always home made and always delicious! They warmed our hearts when (for the first time) they asked Teacher to pray before enjoying the feast. A student who knew no English when she started in our classes can be heard conversing with her teachers in English. Two former students are now studying in junior college. One student tested well enough to secure a position with the County of Santa Clara. A student who started with no English was able to give a speech last year on the last day of class thanking all her teachers. At our annual neighborhood barbecue, a student looked concerned that the homeless were lining up for food numerous times. She was fearful that there would not be enough food for the late-comers. We told her that we had plenty of food. The following year, she was serving the homeless. Her concerned look was replaced with a bright smile. A Kid’s Club ministry (led by a Korean church), targeting the children of our students was started a couple of years ago. Praise God for more laborers!! In February 2017, our Rockspring Neighborhood was flooded by heavy rains. Our teachers showed love by searching for our students in the shelters, visiting them there or where ever they were sheltering, and providing food, blankets, clothing, etc. It was a great opportunity to show God’s love in a tangible way. We have seen some of our students and their children worshipping in our Vietnamese partner church. Last Thanksgiving, we had an opportunity and the privilege to share the Thanksgiving story as we do every year but this past year we were able to serve a Thanksgiving meal with turkey and all the trimmings. We all had such a good time feasting and playing games. 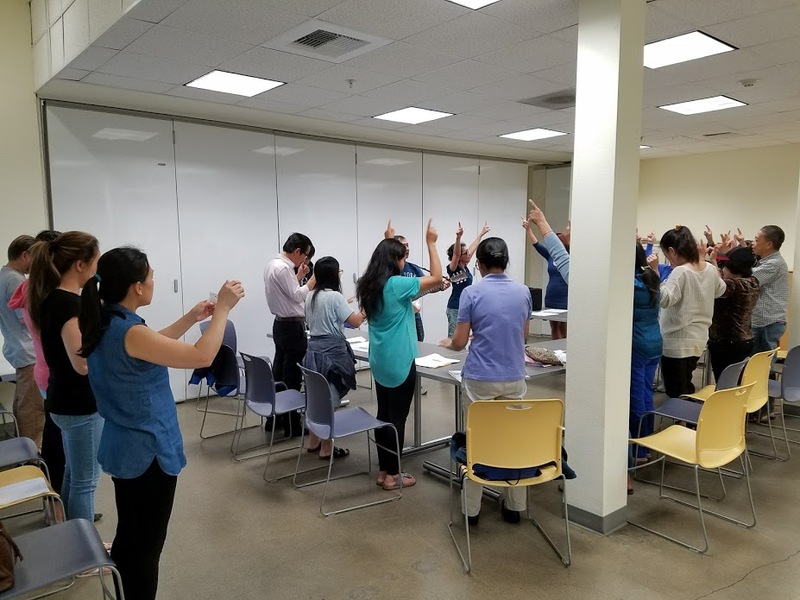 We celebrate many new U.S citizens! Our citizenship teachers pray and encourage our students! Our students are happy to attend Christmas celebrations at our church and participate in our Blue Jean Sunday picnic/barbecues every year. Often our students greet us while we are at an Asian restaurant or at an Asian market. They spread the word and tell their co-workers about our classes. We praise God and celebrate our students who work so hard and faithfully attend classes–both the adults as well as the children in our tutoring program. We praise God and celebrate our teachers who pray, sacrifice their time and show love for our students every Tuesday and Thursday evenings. We praise God and celebrate the families of our teachers who give up their family member on a weekly basis so that their family member can work in our classes. We praise God and celebrate our church who supports our effort so wholeheartedly. Lastly and greatest of all, we praise and celebrate our great God who cares for the poor and the foreigners residing among us and is jealous for all to know Him.